Добрый день! Меня зовут Женя, в сети JekaOb. Периодически веду свой канал с обзорами на Youtube. Сегодня поделюсь с вами своими впечатлениями об устройстве, которое должно быть на любой кухне - кофеварка эспрессо Jura Impressa XS90 для зернового и молотого кофе. Начинаем вникать в технические характеристики устройства. Насколько оно соответствует вашим ожиданиям? В силу своей профессии я ежедневно имею дело с кофе. Через мои руки прошли не одна и даже не две модели, не скрою, в каждой присутствуют свои плюсы и минусы, с которыми я смог бы смириться, но взвесив и проанализировав накопившийся опыт, я остановился на Jura Impressa XS90. Считаю, что это идеальный вариант для дома, неполных 4 месяца каждое утро меня поднимает невероятный аромат, придает бодрости и заряжает на активный рабочий день. Хочу поделиться с вами моими положительными впечатлениями, которые накопились за это время. Что мне понравилось, а что нет, смотрите в обзоре ниже. 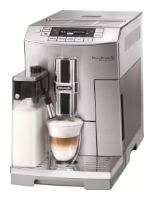 IMPRESSA Xs90 One Touch Mention the word 'coffee' today and people no longer think of just espresso or milk coffee but also popular favourites like latte macchiato or cappuccino. 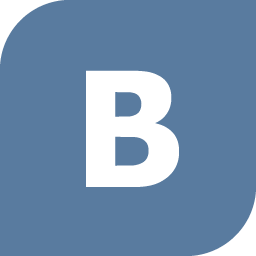 A trend that now extends itself to boutiques, offices and the catering sector. 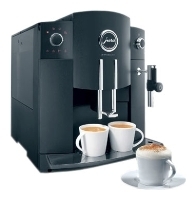 So the fact the IMPRESSA Xs90 One Touch produces no fewer than twelve different coffee types - including latte - at the touch of a button is welcome news. And thanks to its compact dimensions and lightweight (13.8 kg), the machine delivers the mobility we associate with JURA. Design From the start it was clear that the design of the machine would have to reflect the quality and characteristics of our freshly prepared coffee specialities. Controls such as the selector with backlit pictograms, the Rotary Switch or the graphics display are not only eye-catching optical highlights but also an immense aid to navigation from the word 'go', not mention to the illuminating light for your coffee preparation. Ecological intelligence The IMPRESSA Xs90 One Touch helps relieve the strain on the environment and your budget. 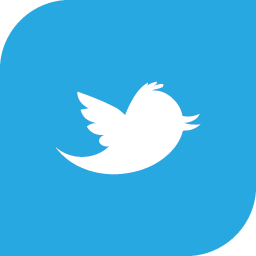 Thanks to Energy Save Mode (E.S.M.©) the machine uses up to 40% less energy and, if you so wish, switches automatically to standby mode after a certain time. And if you are planning not to use the machine for an extended period of time - during holiday periods, for instance - you can use the power switch to disconnect it from the power supply. Time management For most of us, enjoying a well-made cup of coffee is one of life's daily pleasures. The IMPRESSA Xs90 One Touch is fully aware of this and comes with an integrated time management system that ensures you never miss one of those special moments in the day. At any given time, the machine switches on - or off - automatically and ensures you have the kind of coffee you want, when you want it. 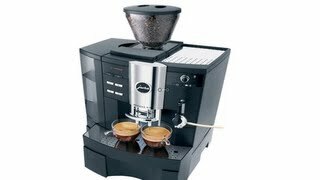 And, needless to say, only on those days of the week you have preprogrammed it.Instructional video to open Jura S9 One Touch, Jura XS90 One Touch espresso machines. 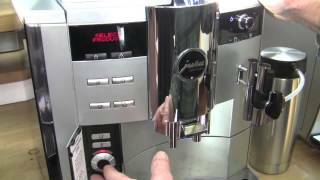 This video demonstrates how to replace the brewing unit in Jura S9 One Touch and Jura XS90 One Touch espresso machines. It is helpful to fix various errors such as Error 8 and various leakages in Jura machines. 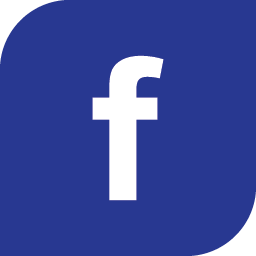 Most common error is Error 8 that requires access to the brew group. The brew group in Jura S9 One Touch is located behind the front door. To access the brew group, the front door needs to opened. This video demonstrates how to remove the right side and rear panel to open the front door and ultimately access the Jura brew group for replacement or refurbishing. 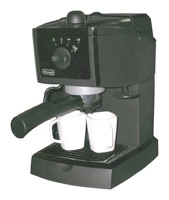 We carry all replacement parts for Jura espresso machines. 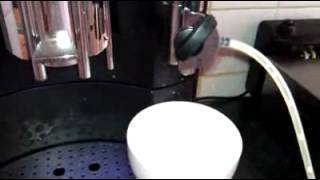 We also fix Jura home and commercial espresso machines. 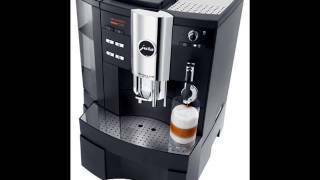 We carry almost all Jura replacement parts and repair all Jura espresso machines. Mention the word 'coffee' today and people no longer think of just espresso or milk coffee but also popular favorites like latte macchiato or cappuccino. 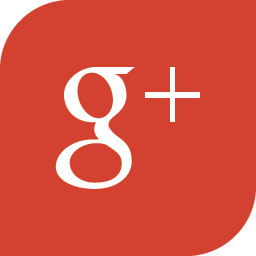 A trend that now extends itself to boutiques, offices and the catering sector. So the fact that the IMPRESSA XS90 One Touch produces no fewer than twelve different coffee types - including latte - at the touch of a button is welcome news. The Jura Impressa XS90 gets the best out of every blend and roast of coffee and coffee lovers and connoisseurs will appreciate the Intelligent Pre Brew Aroma System. The optimum blend of small and large grains is guaranteed by the six-setting precision grinder and an active bean level monitoring system ensures that the grinder will never run empty. Simply by turning and pressing the Rotary Switch, you can vary all the settings to suit your personal taste. The display dialogue system has clearly legible red symbols that indicate when one of the maintenance programs needs to be activated. The machine then takes you through the necessary operating and programming steps in a choice of seven languages. Less frequently used programming buttons are discreetly concealed behind a flap. Integrated rinsing and cleaning guarantees the machine a long and active life. Use the machine's energy saving mode to suit the circumstances: this helps you save energy - and money - without having to give up genuine coffee specialties. And if you plan not to use the machine for a while, you can use the built-in mains switch to shut off the mains power supply completely. 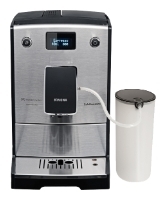 The XS90 One Touch is ideal for situations where a daily capacity of 50 cups is required. It comes with a 1.5 gallon water tank, a container for up to 10 ounces of coffee beans and a grounds container for up to 40 portions.Автоматическая Кофемашина JURA IMPRESSA J9 Канал БЫТОВАЯ ТЕХНИКА-холодильники,стиральные машины... Если вам понравилось видео не забудьте поставить лайк и по возможности оставить комментарий и подписаться на канал. 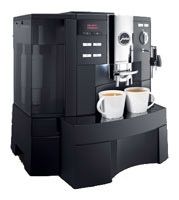 Оценка Jura Impressa XS90 на Coffee-Empire.ru: 2 из 5 на основании 72 голосов. Как приготовить латте дома в кофеварке Юра? У меня полуавтоматическая кофеварка эспрессо Jura, как оставить свой отзыв на вашем сайте? Не могу найти инструкцию на Jura Impressa XS90, подскажите где скачать? Impressa XS90 вроде бы подходит, но какие еще кофемашины вы порекомендуете для зернового и молотого кофе для дома?